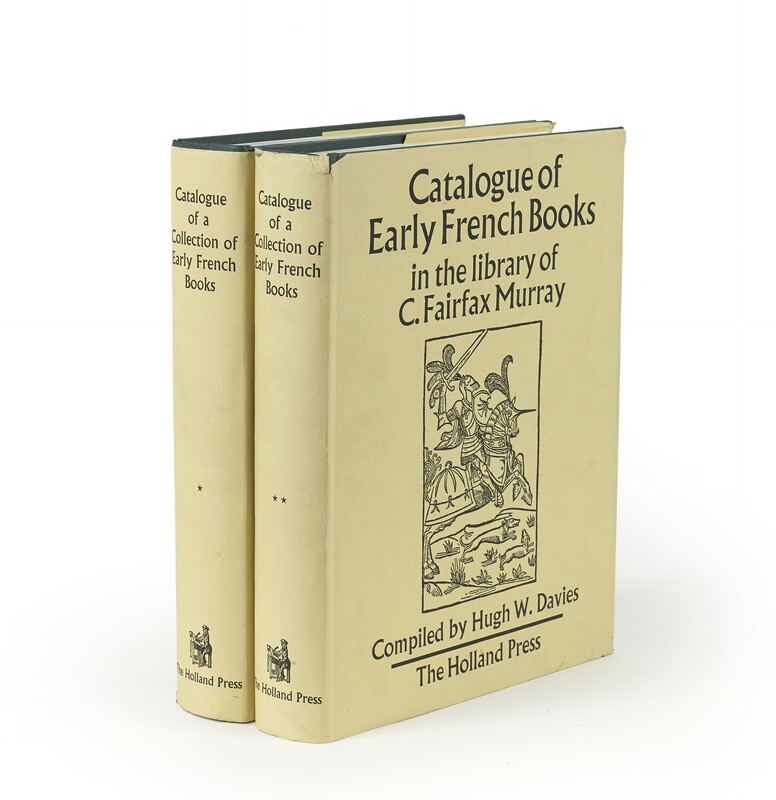 Two volumes (29 cm), I: 599 pp. II: pp.601-1096, lxix plates. Uniform publisher’s cloth-backed boards, dust jackets. - “Owing to the extremely detailed bibliographical descriptions and critical notes by Davies, successively cataloguer and owner of the London bookselling firm of J. 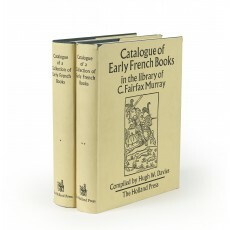 & J. Leighton, from whom many of the books were acquired, the catalogues of the Fairfax Murray Collection of French and German fifteenth- and sixteenth-century illustrated books (including a few of a later date), may be considered selective bibliographies of their subject and belong indeed to the best reference works on it” (B.H. Breslauer & R. Folter, Bibliography: Its History and Development, New York 1984, no. 147). Facsimile reprint of the original edition (London 1910), which had been limited to 100 sets. ¶ Several chips in dust jacket of volume I. Excellent, unmarked copy.